Tata Power Strategic Engineering Division (Tata Power SED) announced the signing of an important deal with the Ministry of Defence, Government of India, to supply 23 ship-borne 3D Air Surveillance Radars to the Indian Navy over the next 10 years. The contract, estimated value is about Rs1200cr, was signed under the Buy & Make (India) category of the Defence Procurement Procedure (DPP) 2013 that will be offering the Indian Navy a proven solution, with a production arrangement in India under Transfer of Technology (ToT) and thereby furthering substantive self-reliance for India’s defence requirements. In November 2017, Tata Power SED had signed a contract with the Ministry of Defence for the supply of Portable Diver Detection Sonar (PDDS) for Indian Naval applications. This Contract was also part of “Make in India” initiative and the second contract under the MoD procurement category “Buy and Make (India)” signed by MoD. 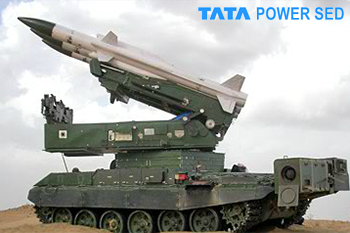 Tata Power SED partnered with DSIT Solutions Limited, Israel for the delivery of PDDS Systems under a ToT arrangement for DSIT’s PointShieldTM PDDS. For Diver Detection Sonar, this was one of the largest orders in the world market.